I finished the body of Honey last night. 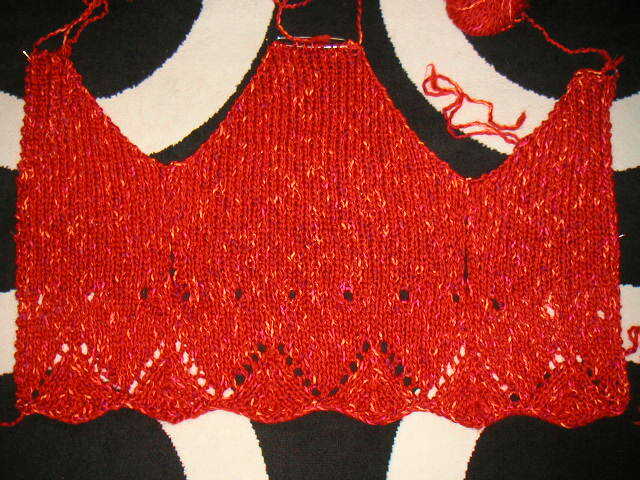 Once I got to the decreases, my needles started flying and the knitting went by quickly. The only adaptation I made to the pattern concerned the casting off of the back section. Both front sections call for the stitches to be put on holders while you are supposed to cast off the back section. It made sense to me to just put those stitches on a holder as well. I love how the decorative hem turned out. I will start the sleeves at lunchtime today!